If some people celebrate Bitcoin’s birthday on November 1, when the original white paper was published, others would much rather save their pride and joy for another special date. 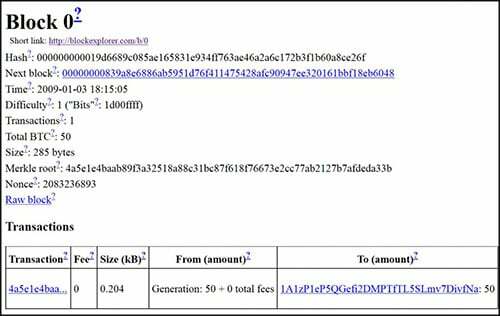 Exactly five years ago, in 2008, Satoshi Nakamoto was “mining” the block zero, also known as “The Genesis Block”. The Satoshi client source code version 0.1 does not have a special routine nor a command line switch to mine a Genesis block. In fact, the Genesis block was hard-coded, which probably means it was generated by another application whose source code is unknown. Nevertheless, since BTCs were essentially worthless at that time, and there was no competition between miners, we can assume he was mining with his own (and just one) personal computer. But what are the Bitcoiners around the world doing to celebrate this special milestone? Well, Hawaii, for instance, will host ‘The Blockchain Bash’ party to “learn, mingle, exchange and talk about Bitcoin”. Bitcoin Hawaii LLC announced the event on Reddit, in partnership with the coworking space The Box Jelly. However, here at Bitcoin Examiner we have another way to celebrate: remembering the history of Bitcoin. There’s a new online platform called History of Bitcoin that will help you recall the most important moments in cryptocurrency’s history in a visually interesting way. The website’s creator recently talked to Bitcoin Examiner using the pseudonym Satoshi Nakamoto. According to the developer, the platform can now be accessed by everyone in order “to track the evolution of Bitcoin and to provide an illustrated overview of everything that has happened in the world of Bitcoin”.